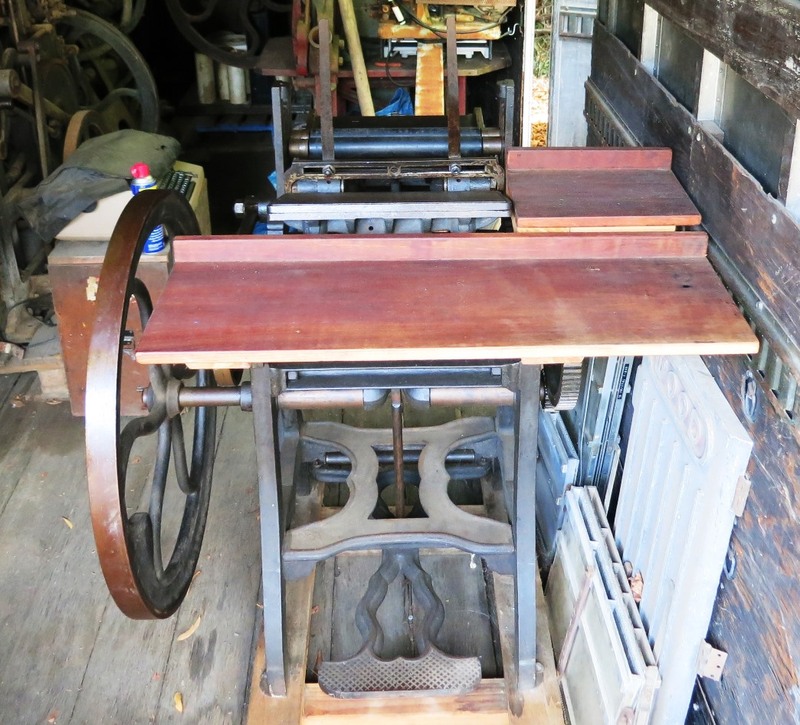 In May 2005, Bob Oldham of Ad Lib Press acquired Liberty platen job press, a model 2A (9 x 13 inches) made by Degener & Weiler probably between 1874 and 1877. 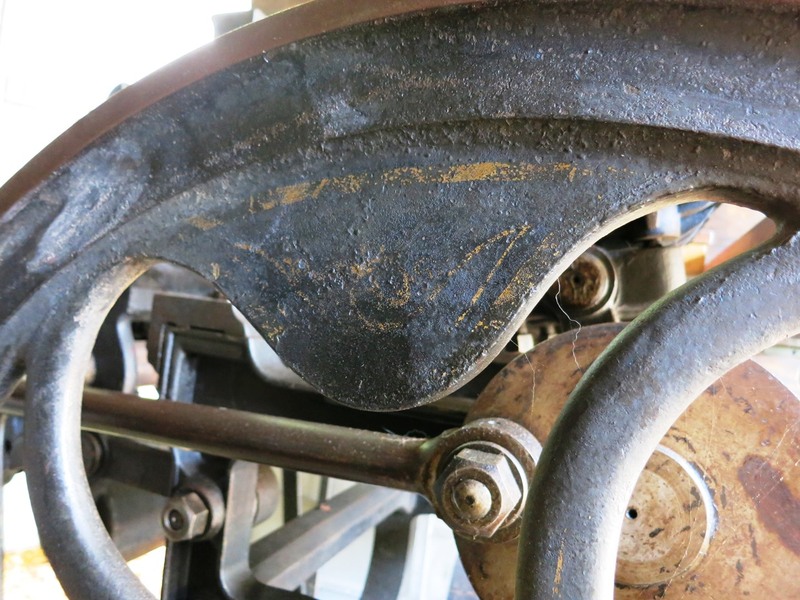 The press was found in excellent condition though a bit dirty, and missing its feedboards and chases. He quickly make it operational and started printing on it. Moving it entailed almost complete dismantling, which was also a prelude to cleaning and painting before reassembly and installation. 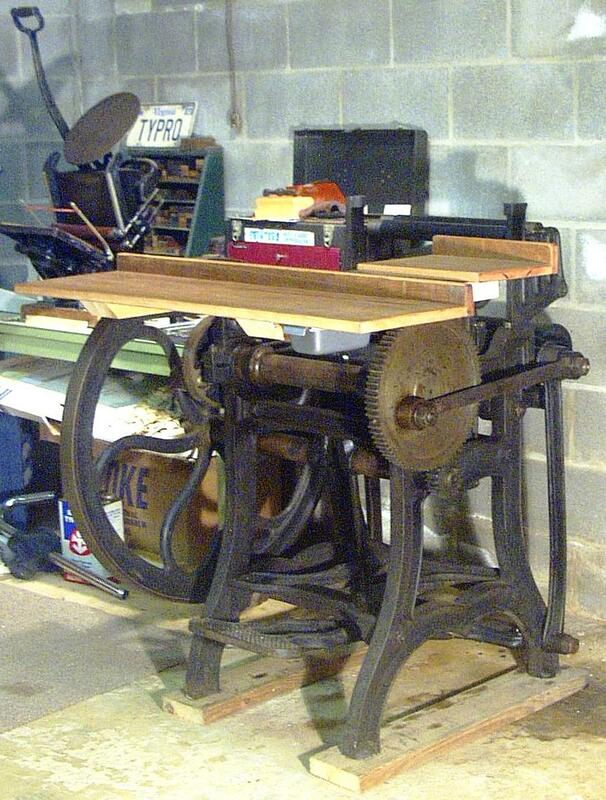 Bob found the press in Newport News, where it had been since 1979. He moved it to his shop in Doswell, Virginia. About 2013, Bob sold the press to Ted Salkin. Ted moved it to his home outside of Healdsburg, California. 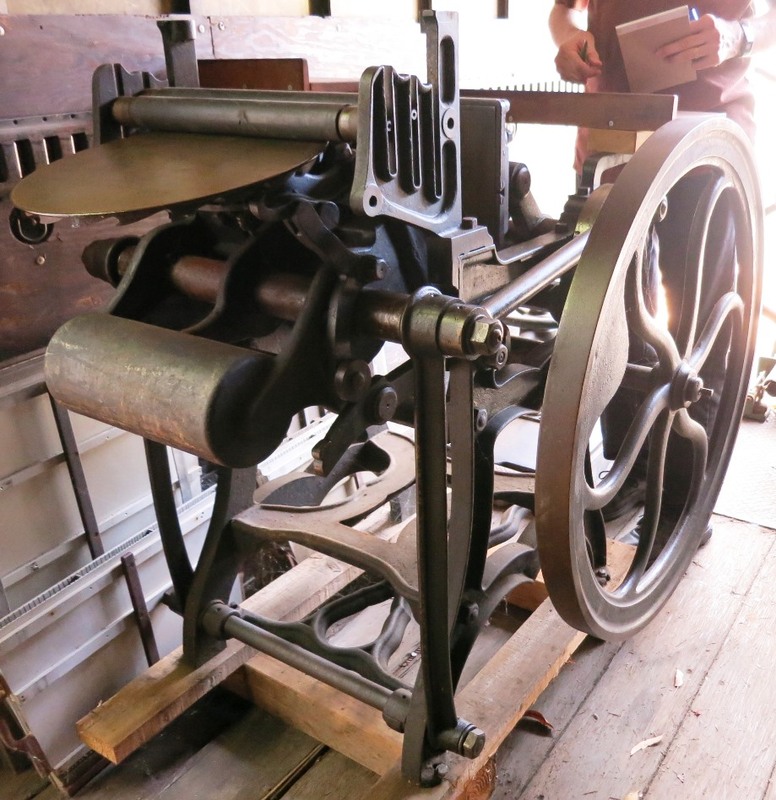 This Liberty press shows the 1874 patent extension. 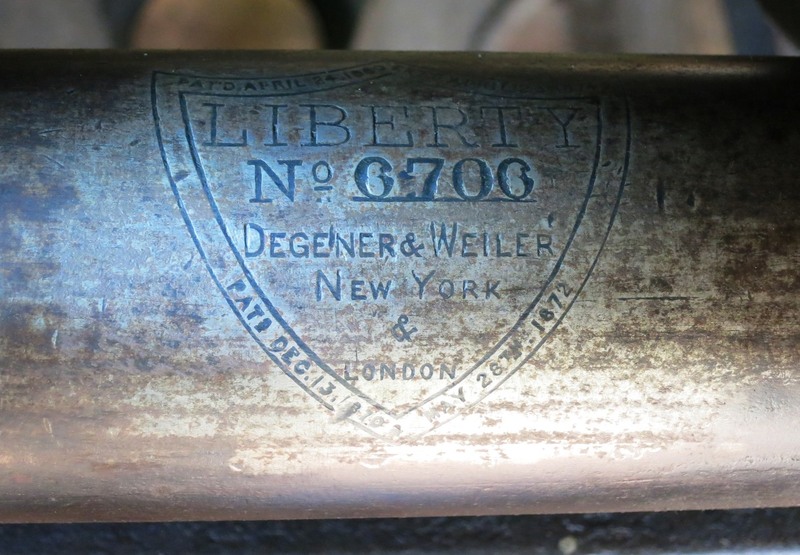 The manufacturer name is "Degener & Weiler", and the cities listed are New York and London. The picture to the left was taken by Bob Oldham when the press was in Doswell, Virginia. Other pictures were taken by Dave Tribby in October 2015 after the press had been moved to Healdsburg, California.